As someone who blogs a bazillion times a day, I sometimes get sad that the “blog air time” for some of the posts that I write is so short. Each post I write is prominently displayed on the homepage of PBF for a few hours and then simply falls into the PBF abyss of past posts. In an effort to revisit some of my past recipe posts, I thought it might be fun to do a monthly recipe roundup post. The recipes featured may not be from the past month, but rather recipes that have fallen to the wayside throughout the two years I’ve been blogging. Since I’m kind of a stickler for some kind of organization, the recipes featured in the posts will likely have something in common. 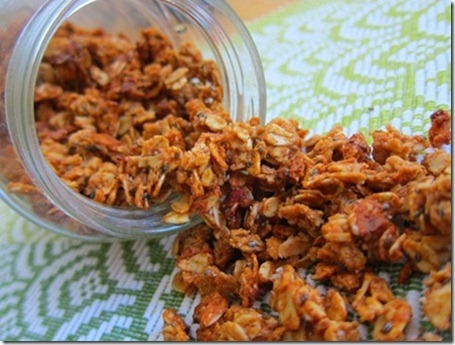 Today’s recipe roundup features GRANOLA! The best part about making granola? You can easily eat a bunch of it and no one will notice. 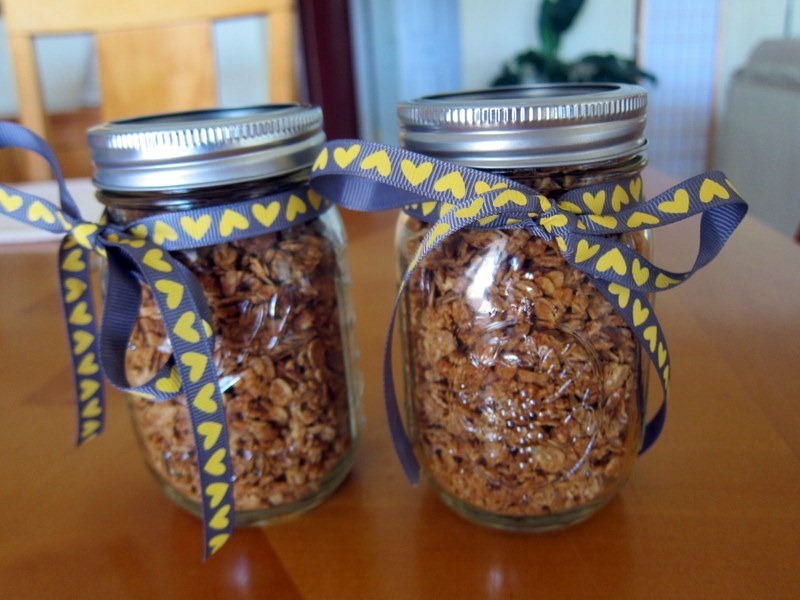 I think granola makes a great hostess gift or a nice little holiday gift for coworkers. You get to eat some and then they get the rest… err… a nice gift. I’ve never made my own granola before. I’ve always wanted to though. It seems simple enough. I definitely want to try a recipe of yours! you have to make your own. it’s SO much cheaper than the store-bought stuff. woo! Yay, I love round-up posts! 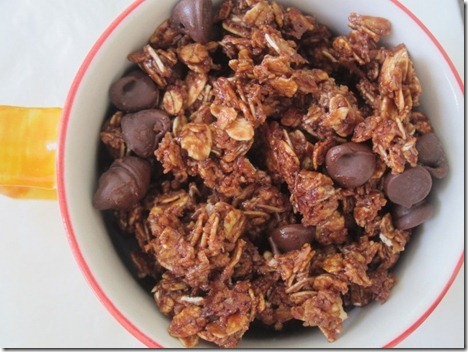 Helpful when I bookmark this post (as I do with so many of yours :)) to have all the granola recipes in one place. I am totally going to make that nutella one sometime….YUM-O! I gotta make that peanut butter granola sometime. I’ve been going a little peanut butter crazy lately, can’t go a day with out it. For someone who uses jelly frequently and peanut butter extra frequently I never see you eat pb&j’s? ! ? ! ~Weird! I think the Nutella is the one that still has my heart most 🙂 I’ve only made granola once, I need to change this and make it more. I always seem to have an excess of the stuff on hand so I never get a chance, but as soon as I run out, I’m doing it! Haha I think if I ate a bunch of granola, people would notice when my pants don’t fit – especially if I got a hold of all your granola! It looks so good! Believe it or not I have never made granola! I was thinking of doing it for little Christmas gifts though 🙂 Everyone loves granola right?! 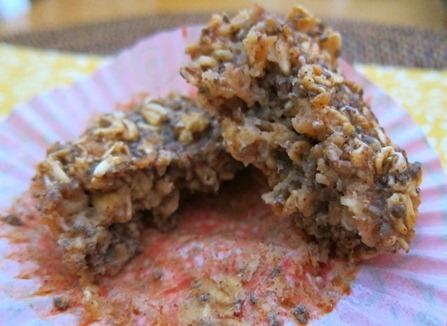 I need to try and make my own granola bars sometime soon!! My favorites that I make are “Aloha Granola” from Carnie Wilson’s To Serve with Love (dried pineapple, dried banana, coconut etc…) and my own made up copy cat of Emerald Berry Blend trail mix (dried strawberries, dried bluberries or blueberry flavored craisins, yogurt covered raisins, maple flaxseed covered walnuts) … no self control when I make these, so addicting! Nice! 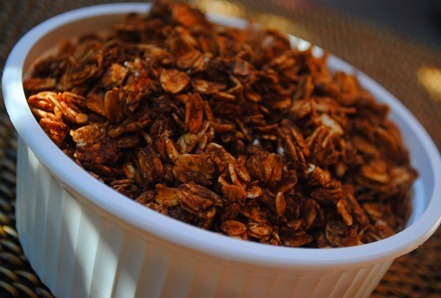 You’ve got great granola recipes! What do you like cooking the most? 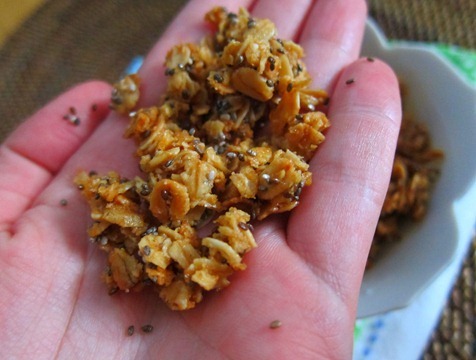 Mmm 🙂 I love the way the granola looks with chia seeds in it– so crunchy and satisfying! bahahahaha. happens to me all the time and I kind of like it too. i’m pretty sure that makes us weird! 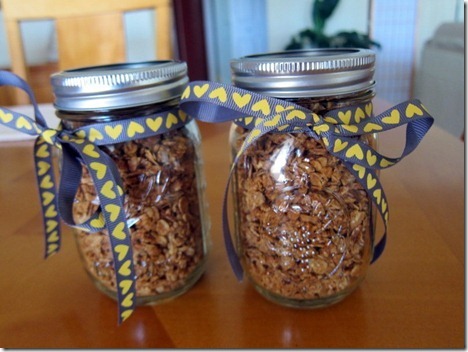 Great idea – granola as a gift for co-workers! Love it – much healthier than all the sweets people give out around the holidays! Great idea to do this roundup!! I’m definitely going to steal some of the recipes. I’ve been wanting to make my own granola for a bit of time right now but no recipe had convinced me yet — there are quite a few here that I’m gonna bust out! 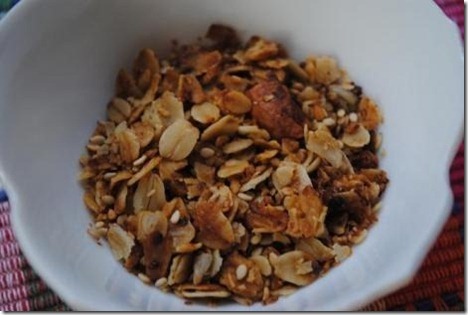 I like how all your granola recipes are quick and easy Julie! The nutella one has me super intrigued. aalllll haaaiiillllll to juuullliiieeee for doing this roundup. I have all the different ones bookmarked, and I most def missed a few. nutella granola. best. invention. EVER! Your blog is becoming my go-to site for recipes these days! Loving the granola recipes, and the pumpkin muffins from the other day were so delicious!!! granola is dangerous territory in this household. it never makes it more than 7 minutes!! thinking of making your classic PB granola for a football sunday brunch we’re having this weekend! I like the round-up post idea! Suggestion for next month: crock-pot recipes. I feel like I’m always searching for one of your crock-pot recipes. The Nutella granola is so sinfully yummy! I love it so much. And now I think I’m going to try the granola bar bites! 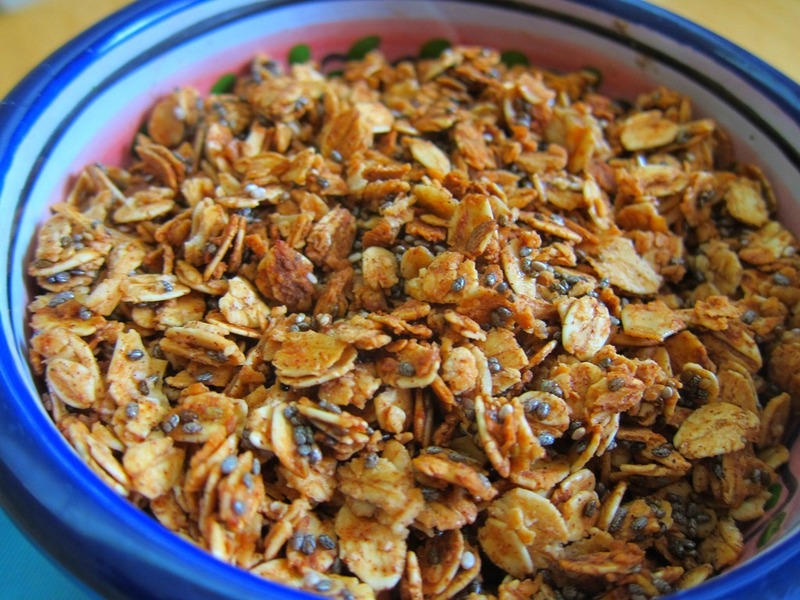 I just ate some Kashi granola and while it was good it didn’t look anywhere near as good as your nutella granola! I need to make that in the near future! Ooo I like the idea to do a recipe round-up :). 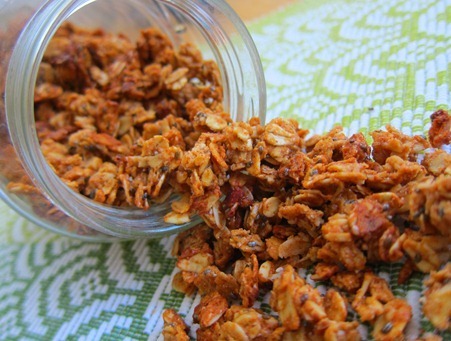 You should try a pumpkin-style granola for the fall! So bc you said you liked them, I decided to give site5 a try!! I want to try the almond butter granola! I’ve never made my own granola! I’m kinda shocked to realize that actually and considering I just ran out of the last kind I bought at the bulk bins, I may have to make one of these. I think this is a great idea! You have some amazing recipes so I love the opportunity to eat more of them 🙂 I’ve actually never made my own granola- even though I eat it every day? But I’m going to change that now with one of these recipes! 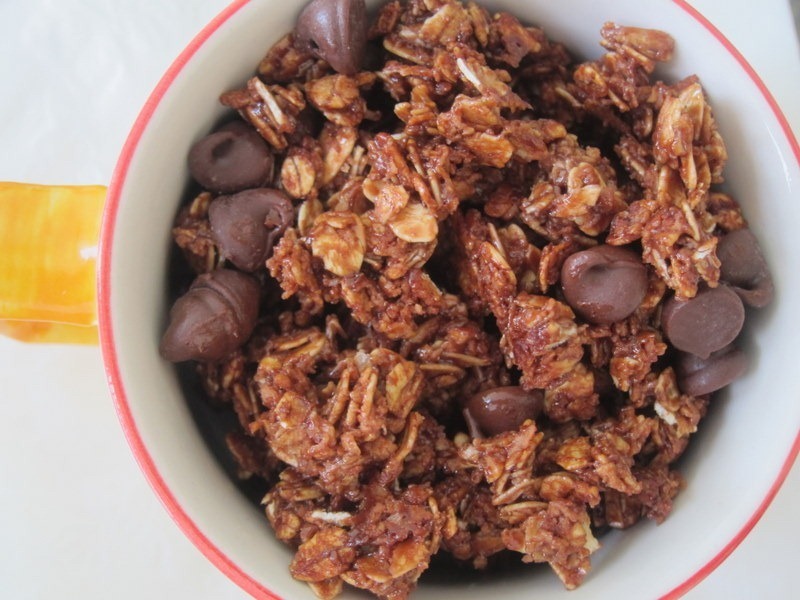 How have I not made your Nutella granola yet? I’m serious. This is a travesty. Your granola recipes are my GO TO. I love making the PB granola and eat it by the pan-full.. Really, it’s delicious, easy and economical! Love. I love this idea, and I agree that it would be a great gift; especially for the coming holidays. Do you think a peppermint bark themed granola could work… white chocolate and peppermint extract, maybe? I want the almond butter granola!!! YUM! This is a dangerous post. I’m going to pretend I didn’t see it. Which one do you think would be the best for a bake sale? Is it ok with you if I make it and include the recipe with your website, of course? The sales are being donated to United Way. 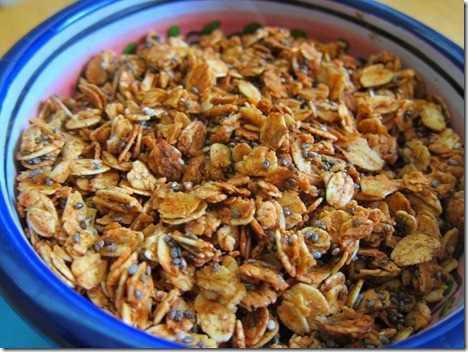 Homemade granola is the best, although super dangerous if you know what I mean ! I was no joke, JUST thinking about making some homemade granola!! Thankyou so much for these links!! !